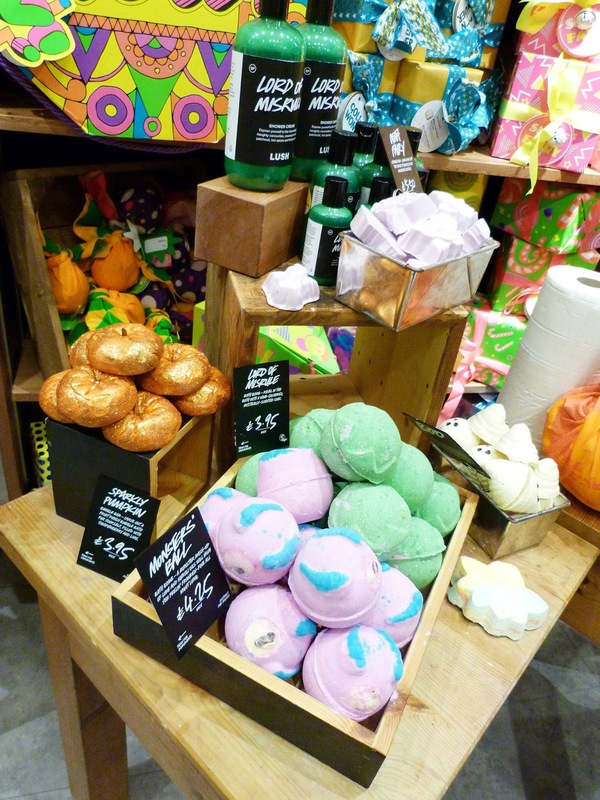 This year's Halloween offering sees LUSH introduce four new bath bombs, two soaps, a bubble bar, a shimmer bar and a bath melt, along with the return of the Lord Of Misrule shower gel and three new knot-wrap designs. The products I picked up at the event myself were the Monster's Ball bath bomb and the Sparkly Pumpkin bubble bar. I couldn't resist popping a Monster's Ball in my basket after I watched a demonstration of the bath bomb fizzing away happily, creating gorgeous swirls of pink, blue and purple. It also fizzes for ages which I think is really fun and makes the most out of a £4.25 bath bomb. Sparkly Pumpkin is a bubble bar which is just as fabulous as its name suggests, however this is a very love/hate product die to the glitter decorating the bubble bar. Some love it and say there isn't enough, some hate it and have claimed it ruins the bubbles entirely. Sparkly Pumpkin is scented with lime and grapefruit, which may seem odd for a pumpkin shaped product, however I feel the scent captures Halloween amazingly and adds a bit of zing to an Autumn bath. One of the new Halloween products that I was so tempted to buy was the Goth Fairy shimmer bar. After trying it at the event it left my arms so moisturised and sparkly and the only reason I didn't purchase it was for the slightly sticky feeling it left behind and so I couldn't quite justify spending £5.50 on it, however it is super cute and I know a few people who would absolutely love it. 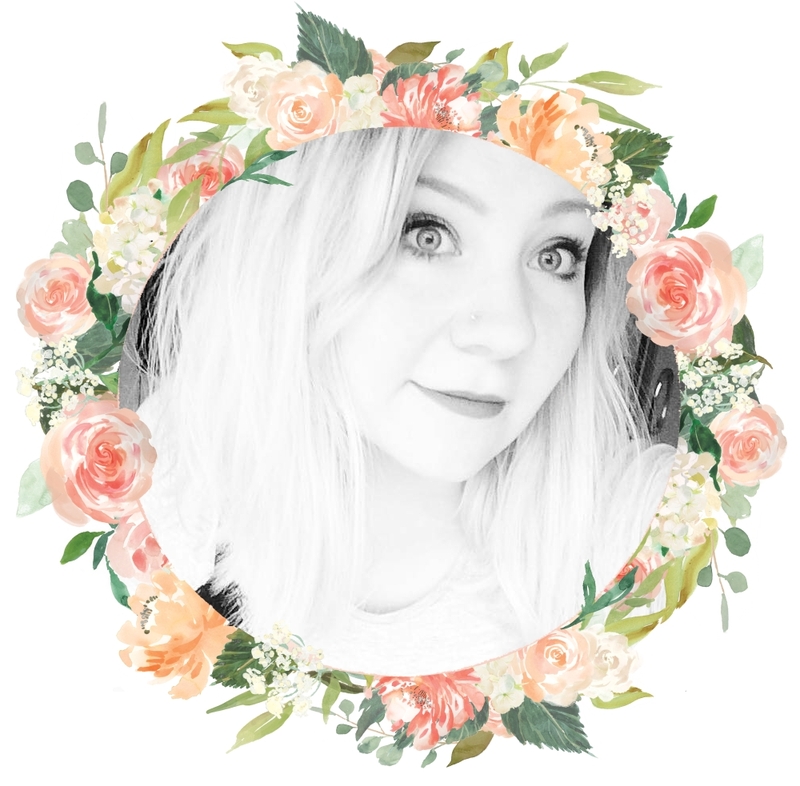 I also wish I had bought the Autumn Leaf bath bomb, however they were so popular that LUSH only had two in stock, one of which they used for the demonstration which made me fall in love with it! I went back to the Halloween table later in the evening but it had already been nabbed, so this is one I'm going to have to order online to get my hands on. Lastly, the collection includes a Fireside soap, adorable Boo bath melt, Pumpkin bath bomb (which they didn't have in stock at the event) and the most amazing smelling soap called Magic Wand, which smelt so tropical and fruity with hints of tangerine and pomegranate. I truly wish I had bought a chunk of this soap, however with so many people around I felt nervous asking to have some cut! Oops! But I'll definitely be ordering this online along with the Autumn Leaf bath bomb. What have you been eyeing up from the LUSH Halloween collection? Would you try the shimmer bar? 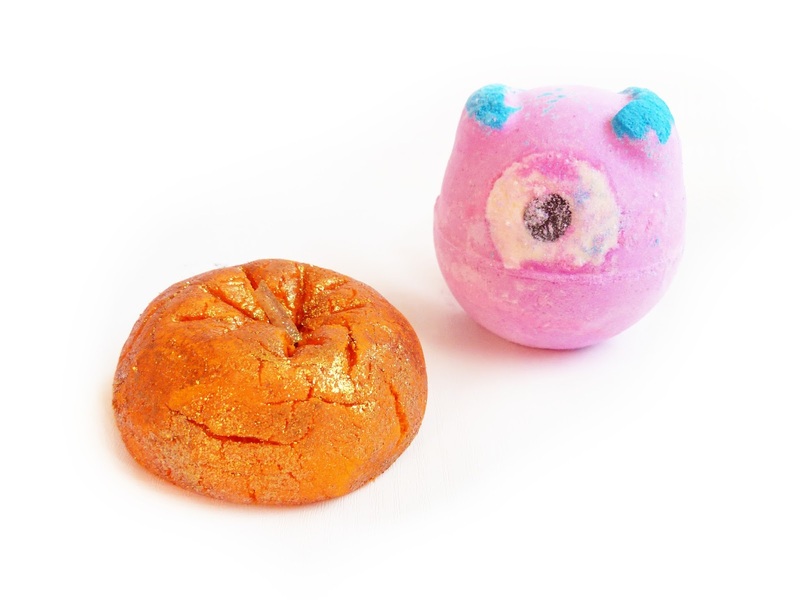 I've been dying to get my hands on the Halloween products, the pumpkin bath bomb is at the top of my list at the moment! Im so excited to try some of the new A/W stuff from lush. The sparkly pumpkin sounds amazing!